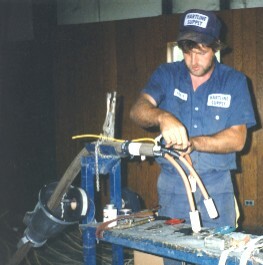 High-Voltage Couplers – Hartline Supply Inc. 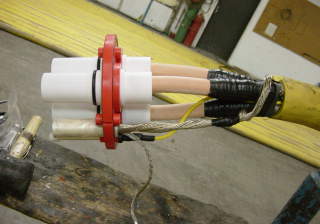 The proper coupler for the customer has been selected and preparation for installation is being done. 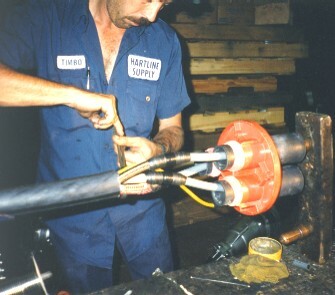 This is a male coupler being installed. 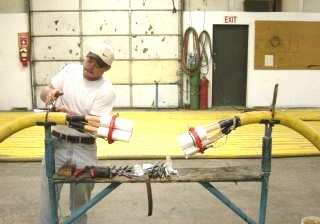 The male contacts have been soldered and the stress relief is being applied to the three phase leads. 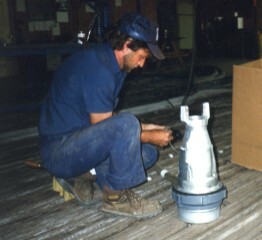 This female coupler is being installed. Female contacts have been soldered and stress relief is being applied. This photo shows that contacts have been soldered on and stress relief tape has been properly applied. The insulator has been installed. Ground check is mounted into place. 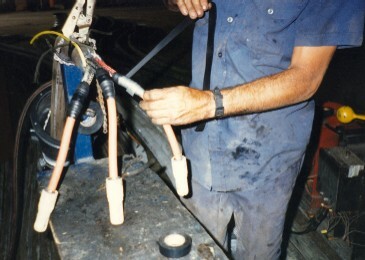 The ground wire is being prepared so the contact can be soldered. In this picture, the coupler has been finished. 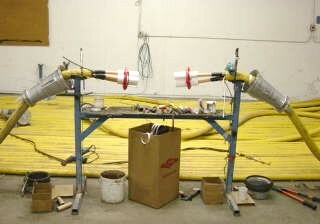 The restraining clamps are being tightened and secured for completion. 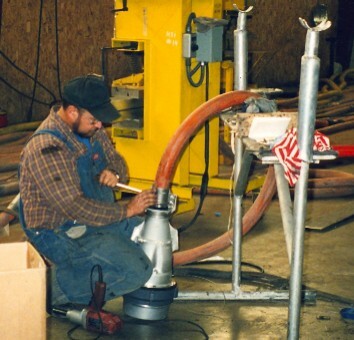 These three pictures are views of Teflon couplers being installed.